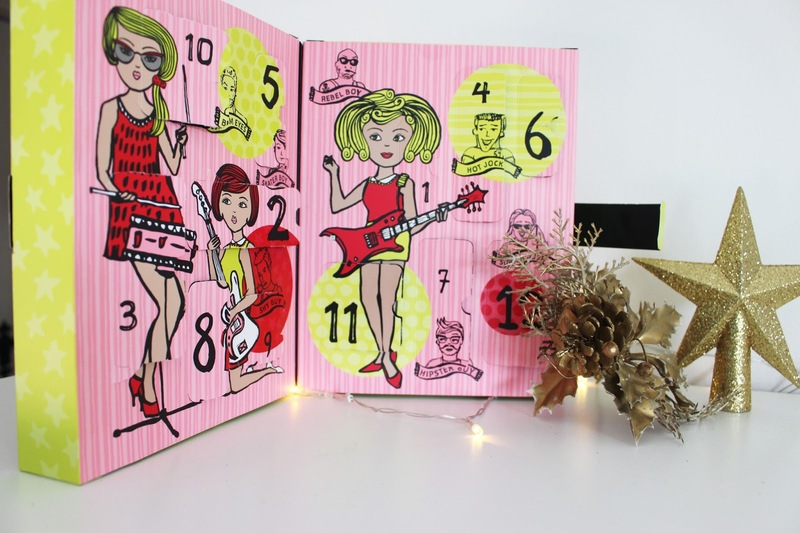 Beauty advent calendars are something that I have always loved the idea of. 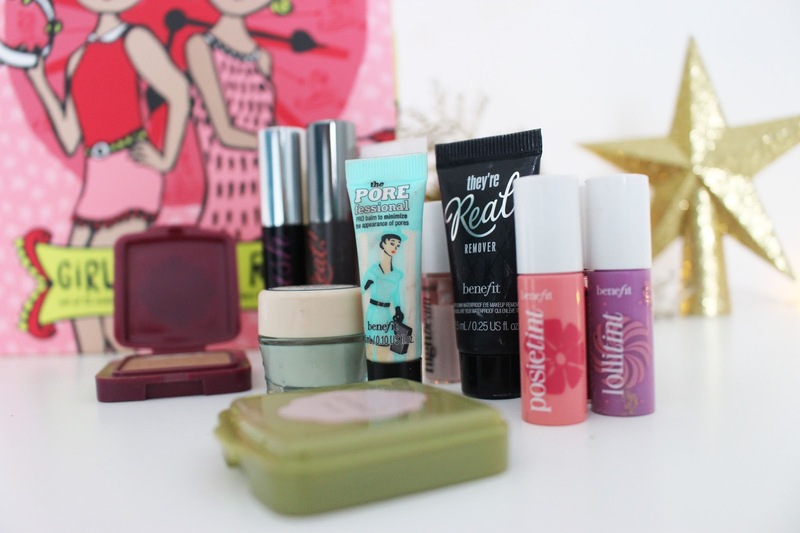 Opening a beauty product everyday is so exciting, especially a brand like Benefit. I had seen this calendar featured on a lot of blogs in November, so I couldn't wait to get my hands on it as soon as payday came along! This calendar came with 12 products, which all have a total value of £64, which is really good considering the RRP is currently £34. However, what I wasn't aware of, was that the products could be classed as sample sized. They are absolutely tiny! And if I am being honest, if i knew this, I probably wouldn't have bought it. 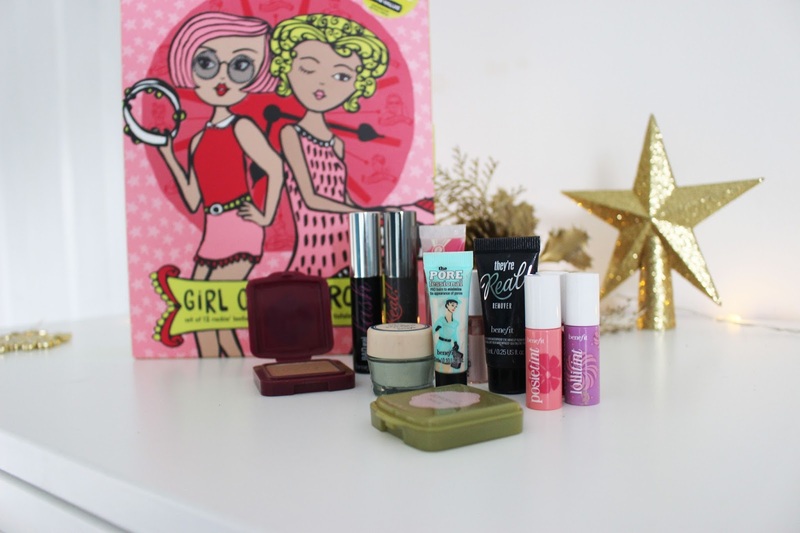 But, I guess in a way, this is good for people who have never tried Benefit products and want to see which products suit them best without splashing out on the full sized versions. 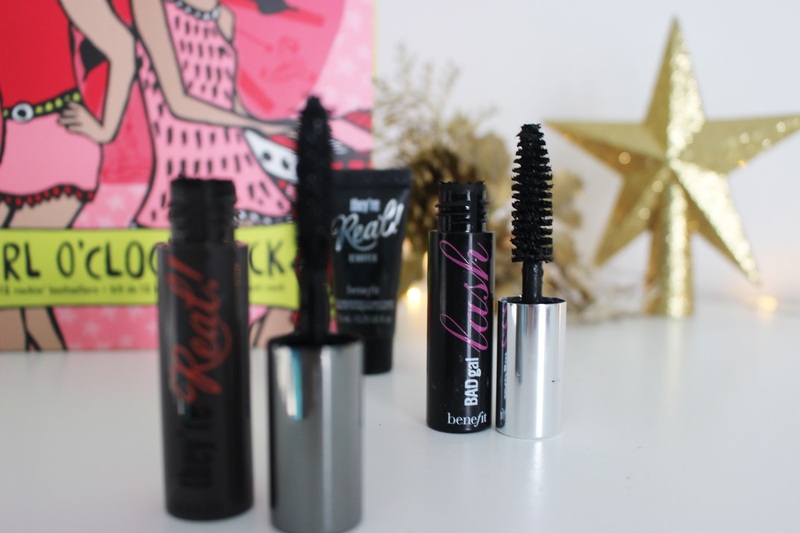 BADgal Lash Mascara: I am so glad this calendar came with two mascaras, because these are the two I have always wanted to try. However, with that being said, the sizes were so small it made them really hard to use. It was practically impossible to use it without getting it all over my eyeshadow, which is the most annoying thing everrrr!! 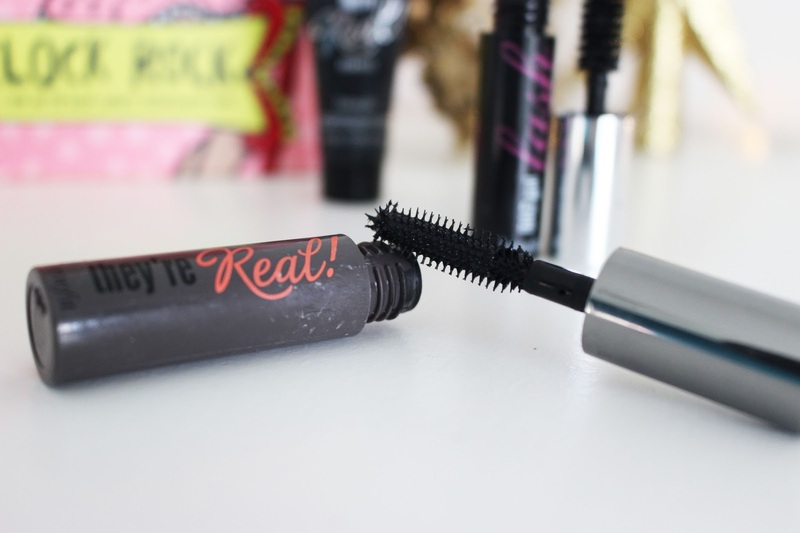 Despite this, I am still not a big fan of this mascara. The brush is very big and leaves my lashes looking extremely clumpy and short. They're real! 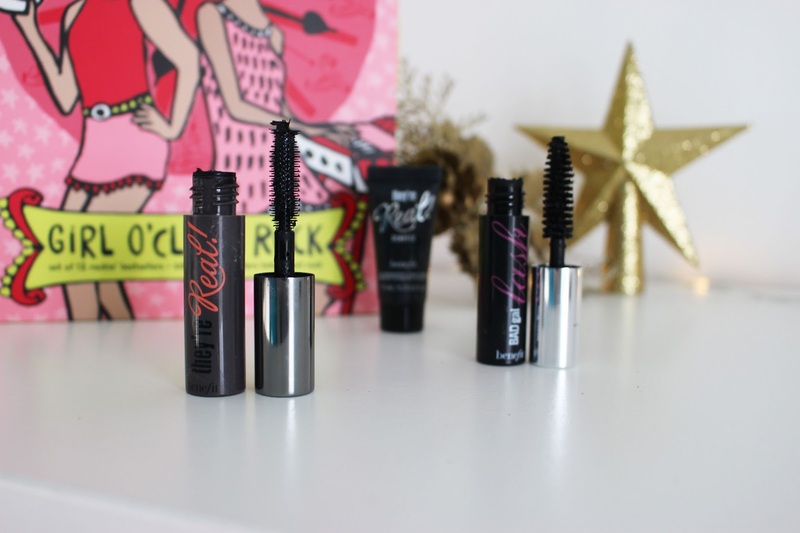 Lengthening Mascara: This is definitely my favourite out of the two mascaras. Although still hard to use due to the small wand, it creates length and volume whilst still looking natural! They're real! Eye Makeup Remover: I can't say I have ever used a makeup remover that has been easier to use than this one... It removes harsh eye makes so easily without pulling at your eyelashes! All you need are cotton pads! Squirt a little bit on, rub over the eyes and voila! Your makeup is gone! 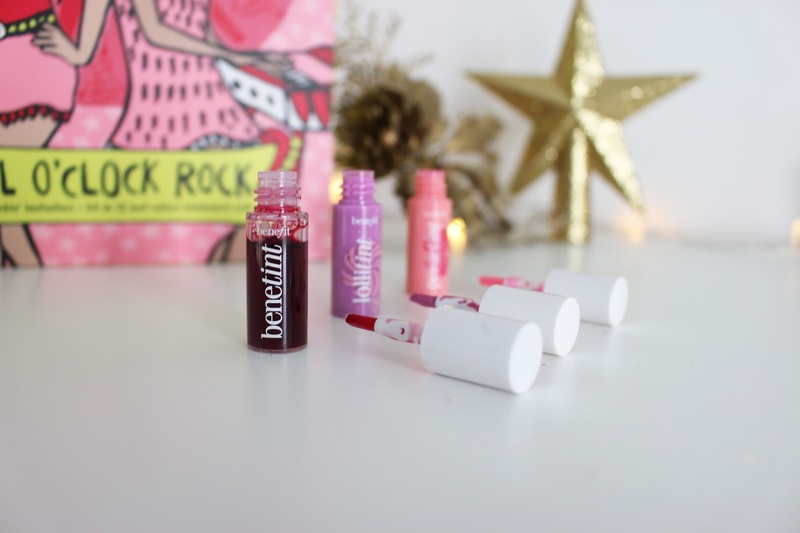 Benetint Cheek and Lip Stain Trio: I honestly don't think I have everrrrr came across three products that are so pointless. When I opened these and saw what they were i was unbelievably disappointed. They, in my opinion, don't work all that well. Either that or I can't apply them properly. They just leave me with bright red blotches on my cheeks which i can tell you, is not an attractive look!! And the colours aren't that flattering either! 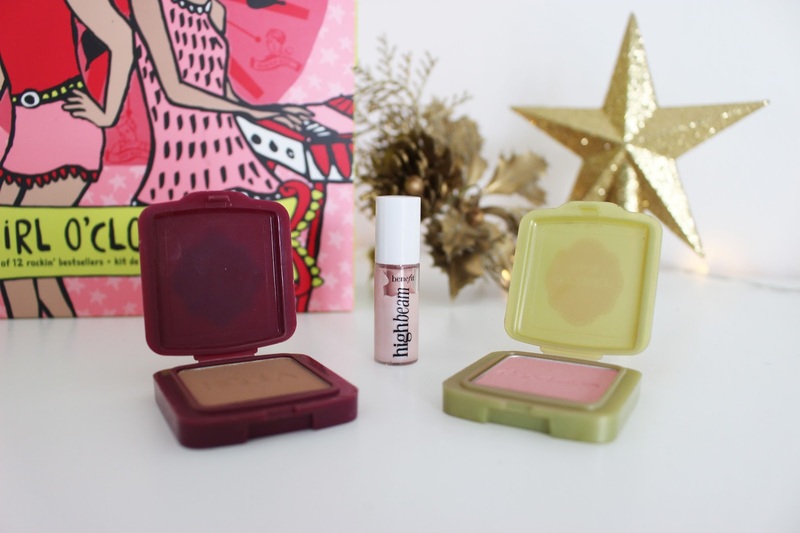 Hoola Bronzer, Dandelion Powder & High Beam Highlighter: My personal three favourites from the calendar. The hoola bronzer looks lovely once applied. It gives a very natural matte look, but again the size is so small it is very hard to use properly. The Dandelion powder is another product I love. 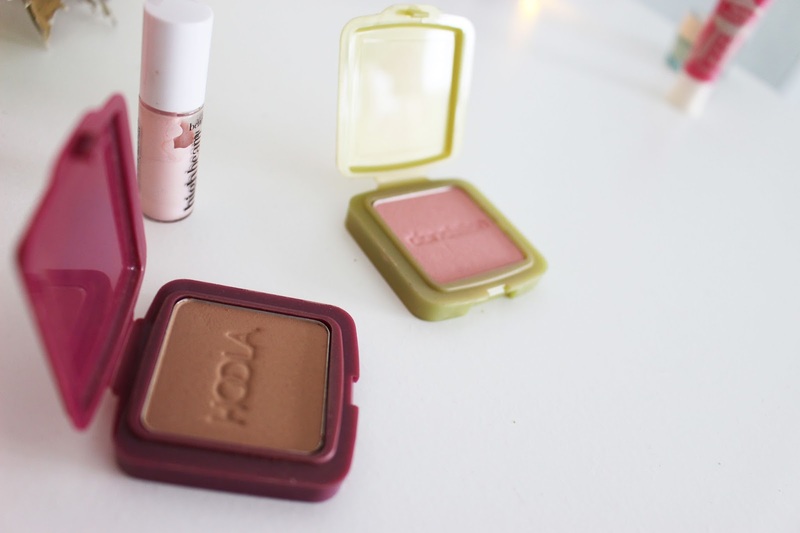 It can be used as a blush, but also as a brightening powder which is what I use it for. It makes your face look so much healthier by just applying one coat! 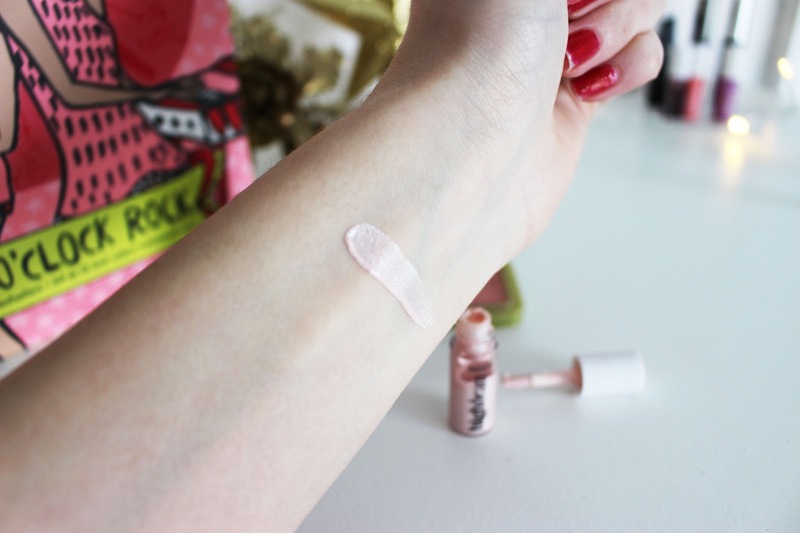 And finally, the High Beam highlighter is gorgeous! 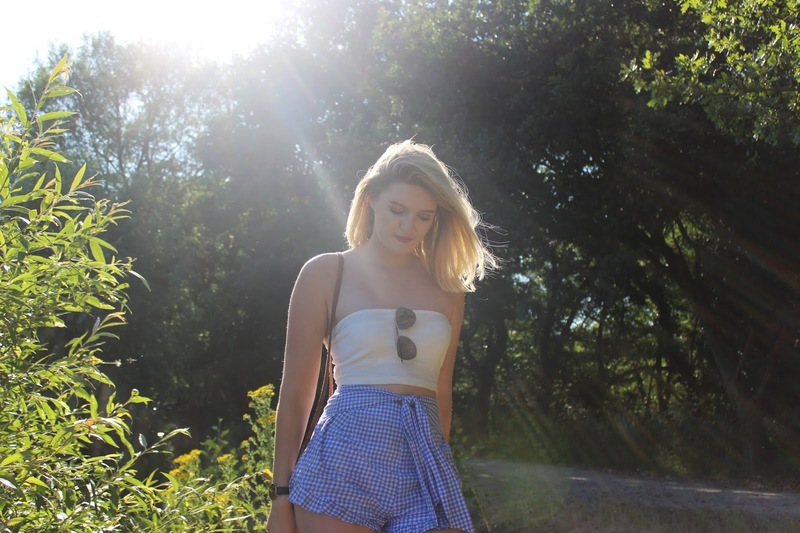 It leaves your skin glowing and is very buildable depending on how much you like to wear. 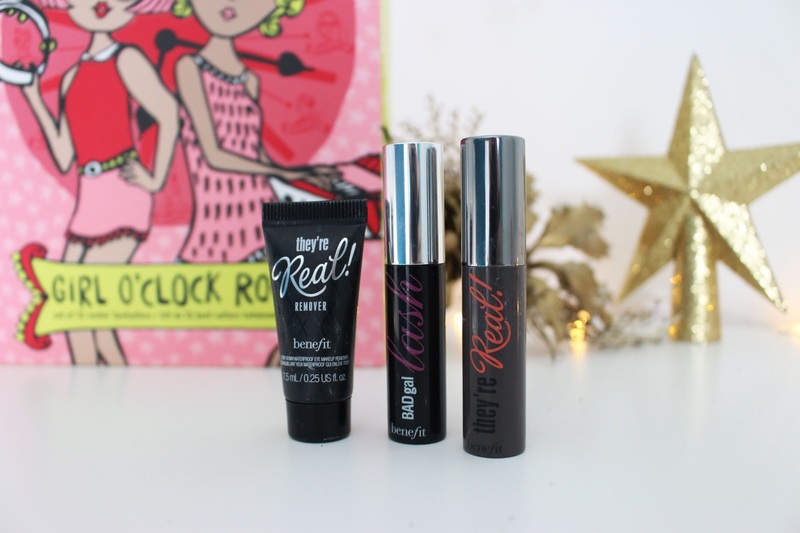 I will 100% be purchasing all three of these products full sized! Ultra Plush Lip Gloss: Not being a fan of lipgloss, as you can imagine, I wasn't ecstatic when opening this lipstick. However, when trying it on I was pleasantly surprised. I applies super easily and doesn't feel sticky of heavy on the lips! However, I wouldn't go as far as to say I would purchase this full sized, but I will definitely enjoy it whilst it lasts! 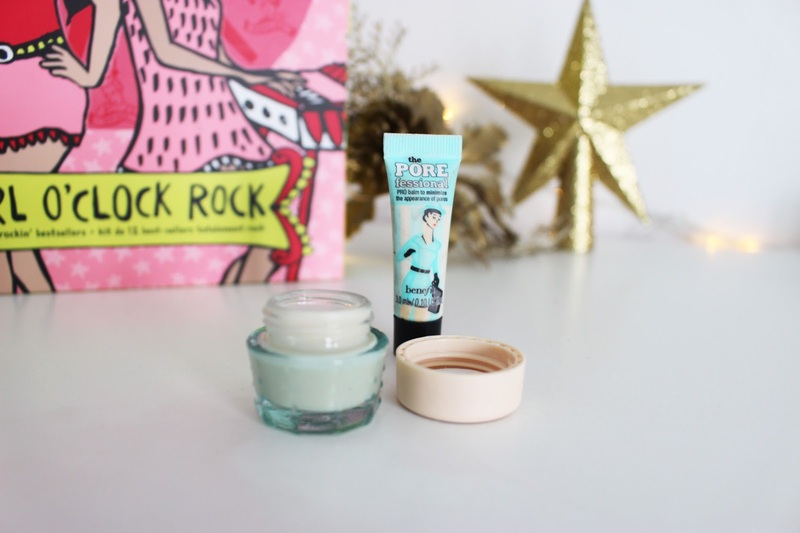 POREfessional & Its Potent! 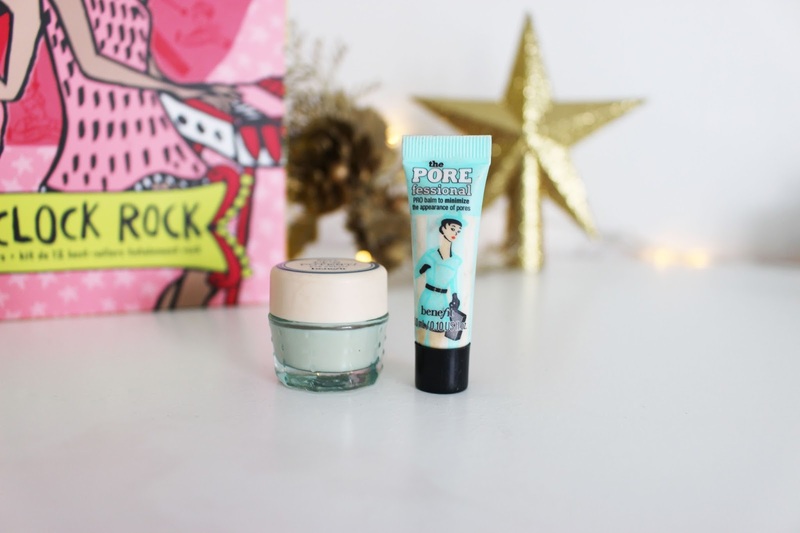 Eye Cream: Huge pores is something I have suffered with for years, especially around my nose. Having never tried this product before I was very excited to give it a try... and wow! To say I was impressed would be a huge understatement. This product minimses the appearance of not only my pores but also other imperfections which leaves my skin looking flawless! 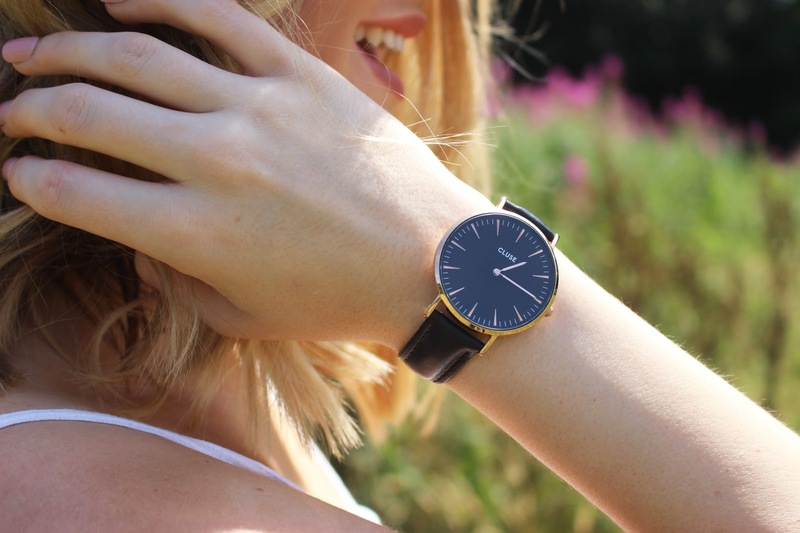 It applies super easily and is definitely something I will also be buying! This eye cream is also something I have fallen in love with. Have dark circles? Look no further. This eye cream instantly brightens eyes and leaves your skin firm! What more could you want?! Overall, I haven't been super impressed with most of the products in this calendar. However, it has allowed me to try products I hadn't before and I will be making a few cheeky purchases over the next few weeks! What advent calendar have you got this year? And have you tried any Benefit products before? If so which is your favourite?